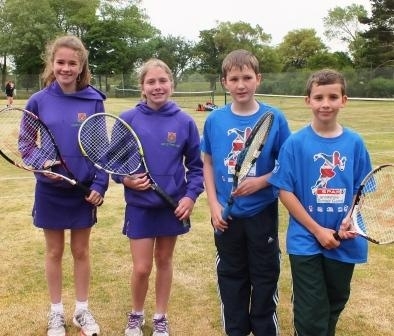 Westholme’s Under 13 Tennis team represented Blackburn with Darwen Schools in the Lancashire Schools’ Summer Games Finals which were held at Stanley Park. All the schools taking place had already won their local competition, so the standard was extremely high. The team of two boys and two girls all played singles matches on some rather bumpy grass tennis courts, where the bounces were very unpredictable. The matches consisted of a long timed tie-break style game, where every point counted and there were some very close matches. Westholme won two matches, lost one match and drew one match. With these results, Westholme finished in third place and were awarded medals.